Is boat share for you? With over 200 shared ownership narrowboats on the English canals and rivers, representing around 2,500 boating families, we believe there is a need for independent information on what shared ownership has to offer, how and where to buy and sell shares, where to moor, where to get training and where to discuss shared ownership boating on the internet. Information on the site is gleaned from many years experience of shared ownerships, understanding the issues that can arise and by drawing on a range of sources. The site is completely independent of any boat management or share sales company, and we do not offer shares for sale - we simply help you identify where shares may be offered. The mention of any company on the site does not mean that it is endorsed by us - simply that we know about it. 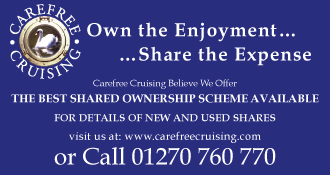 We will not, however, mention or list any companies that we know to be unhelpful to shared ownership boats and their owners. The site is run by Andrew and Pippa Cooley. We will be continually adding to the site, so please do contact us with any new information or suggestions for improvements. 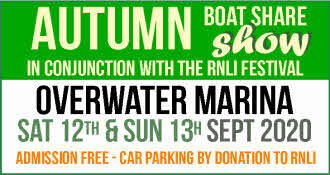 We hope you find boatshare4u.co.uk useful.